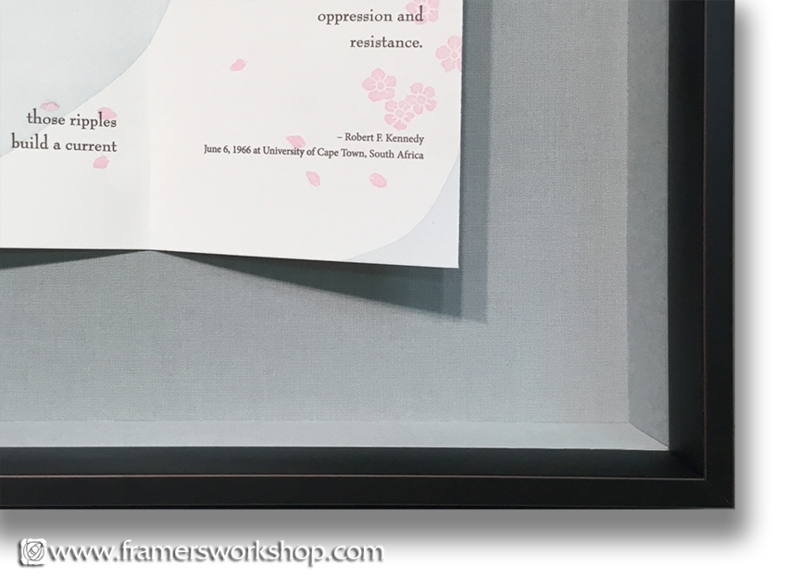 A hand-crafted, folded and illustrated quote from Robert F. Kenedy by Yoshiko Yamamoto. Leaving the paper with its natural "folded" look gives it a more three dimensional "object" quality. 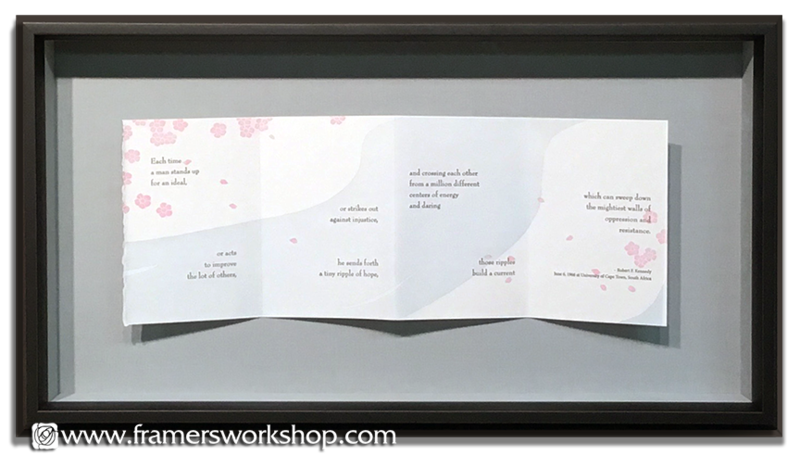 It's framed in a deep black shadowbox frame with 1" deep, fabric covered matt walls that match the matting material on which the poem is floated. The UV filtering glazing sits up close to the front of the frame, held in place by the mat walls.